I am seeing patients more frequently who are in the habit of chewing and sucking on breath mints, lemon drops or cough drops. In combination with various medicines that cause cause dryer mouth conditions the damage this does to teeth can be catastrophic as the sugary saliva leaches into cracks and crevices of teeth and around crowns. The effects can be seen in the xray and picture below. 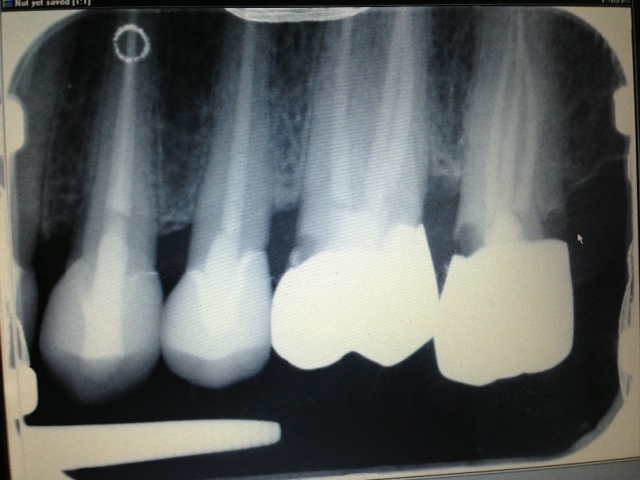 The two teeth on the right in the xray have crowns and have had root canals. The dark areas above the crowns are decay that have now made one tooth unfixable. The teeth below have decay due to the combination of dry mouth and sugar. These conditions are preventable by change in diet and habits. 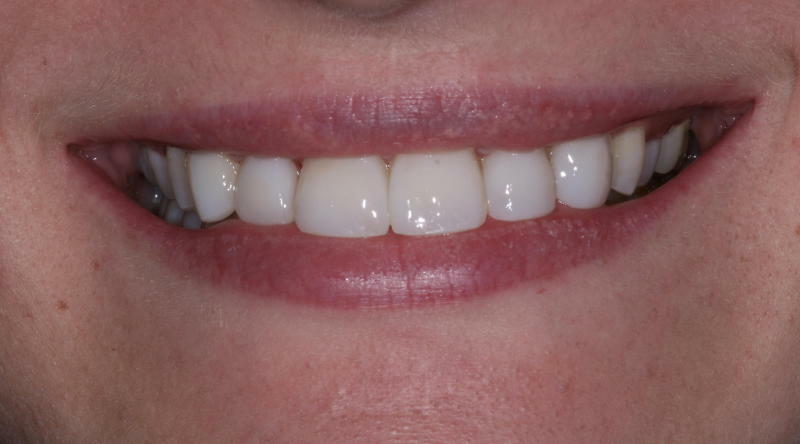 Fortunately for the teeth above we were able to renew the decayed surfaces with adhesive cosmetic restorations. However, it remains important that the habit that caused the condition that required fixing be discontinued to have a successful long term prognosis. 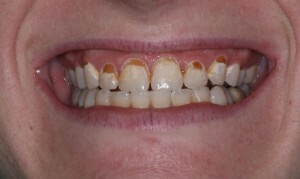 Below is a picture of the teeth renewed. Minimally invasive adhesive techniques allow teeth to look their best while minimizing loss of tooth. 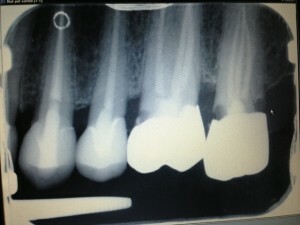 Copyright © 2011 Dr. Bruce J. LeBlanc, DDS. All rights reserved.